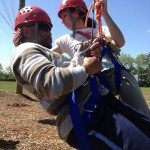 At Project Adventure, we understand the importance of having flexibility and choice in your training. Therefore, not only are the below trainings offered as Open Enrollment workshops, but they can also be customized to your schedule, site, and organizational goals. 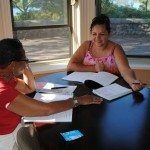 You will personally work with a member of our staff to decide what is best for you and your learning plan. 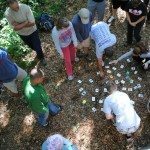 This is our comprehensive foundational workshop designed for any individual who is excited to learn the basics of adventure and experiential education. During this workshop, the techniques needed to begin programming using games, initiatives, and low and high elements are introduced and explored. How you teach and what you teach will forever be changed after taking this dynamic workshop. This is our intermediate workshop for individuals looking to explore the many different low elements. During this workshop, discover the variety of ways to use even a single low element. Whether a big course or a small one, this workshop can help you get the most out of the low elements that you have. These trainings include the first steps in preparing staff to develop introductory technical skills and then progresses for climbers and challenge course practitioners who possess basic technical skills and aspire to strengthen, broaden, and assess their skills. When both are combined, they provide appropriate skills instruction for developing entry-level climbing wall practitioners on standard climbing walls and towers and includes additional wall activities and rescue considerations. 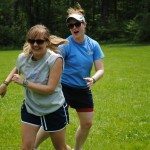 Whether your Adventure staff is brand new, or has years of experience, they will find themselves well-prepared to lead an effective and engaging program this summer after completing this course. Choose between two different options (or both!) 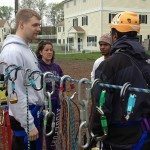 that encompass basic ground facilitation skills, belay skills, and high element management. 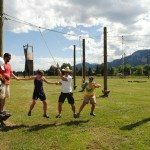 This workshop will provide your staff with the skills, understanding, and tools they need to lead an adventure program that is safe and speaks to your camp’s mission and goals. Ideal for experienced facilitators and those looking to expand their knowledge of technical systems, this intermediate workshop is for those who have an introductory technical knowledge either from taking the Adventure Programming or the Adventure Based Counseling workshop, or the equivalent experience. During this workshop, expect to bring your introductory technical skills to the next level. This is the premier technical workshop in the field created to update the advanced practitioner or build the skills of the intermediate technical participant. This is an opportunity to fine tune one’s critical skills and practice real-life rescue scenarios. It's an ideal opportunity to learn and practice the skills and knowledge needed before taking the Practitioner Certification Level 2. Whether you are just beginning your management career, or are a seasoned veteran, this workshop will give you an in-depth look at risk management. 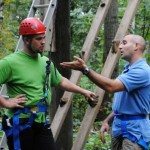 Our advanced workshop is designed to expand the knowledge of the individuals responsible for managing adventure programs and challenge courses. This is an opportunity to gain critical skills to efficiently manage the logistics, safety, and risk involved in operating an adventure program of any size or shape. 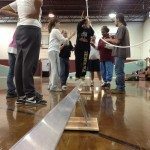 The Level 1 Practitioner Certification is designed for individuals who operate standard introductory activities, low challenge course activities and initiatives, and standard high challenge course activities. This entry-level certification is offered to individuals who have completed seven days or 70 hours of training and have demonstrated competence in basic program knowledge and technical skills. Candidates must also be able to document a minimum of 25 challenge course program facilitation days. Candidates at this level are required to document 11 days or 110 hours of training and a minimum of 100 challenge course program days (low and high element programming with an emphasis on highs). This certification is designed for program directors, course managers and others who have program management responsibilities. Candidates must have completed and hold current Level 2 certification to be eligible for Challenge Course Manager (CCM) Certification. Candidates must be able to document a minimum of 14 days of training and 200 program days of challenge course facilitation experience. Our transportable workshop is for individuals who are new to adventure programming and do not need the skills or introduction to low and high elements. 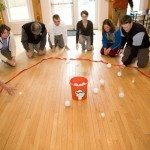 This foundational program is an introductory option to build your knowledge of games, activities, and initiatives for those just starting to explore adventure and for those looking to expand their activity toolbox. This is our Adventure Programming workshop without the challenge course. 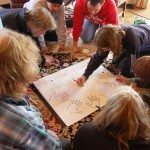 This therapeutic foundational workshop is for anyone new to adventure who not only wants to learn the basics of implementing an adventure program but also wants to explore group process and debriefing techniques more deeply. More time is spent immersing oneself in this process, and technical skills are covered, but with less time for mastery. It's a great option for those looking for more reflective depth in their adventure programming. Graduate Credit: 2 or 4This workshop is designed for those who work with youth at risk in schools, treatment centers, detention centers and other specialized programs. 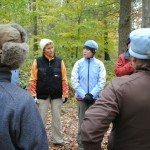 Participants will learn techniques used in our Behavior Management Through Adventure work with youth who often present a significant challenge to traditional group management. The model focuses on an empowered group process. Highly engaged adventure programming does not require an open field, hiking trail, or a gymnasium. There are also many applications for the classroom where building community, accelerating learning outcomes, and teaching social-emotional competencies are all critically important. This workshop will help one bring adventure to any classroom setting while also supporting positive school climate. This workshop is for interdisciplinary, K-12 educators who wish to support the social and emotional development of their students better. Participants will be exposed to a wide range of adventure-based, SEL-linked activities while exploring strategies for applying adventure concepts to align and integrate the diverse social and emotional learning initiatives in their school. 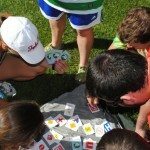 We created this workshop with physical educators in mind. This workshop will supply lesson plans and a sequenced curriculum, help you teach to standards, and will focus on the issues facing physical educators today. Adventure is a great supplement to any PE program. 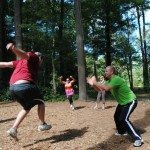 Looking to engage all students in effective and fun fitness? This workshop, geared towards PE and health and wellness educators, is guaranteed to provide new ideas that students will love, and supply content to help students learn how they can maintain an appropriate level of health-related fitness. 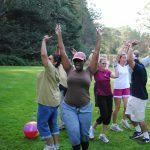 Health and physical education teachers, wellness coordinators, and any professional who wants to help students experience health content will love this workshop. 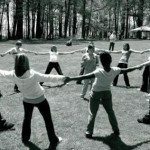 Activities cover the core areas of nutrition, physical fitness, substance abuse prevention injury/violence prevention conflict resolution, mental and emotional health, stress management, and cultural awareness. Debriefing is a critical component of an effective adventure program. Participants will experience a variety of debriefing methods and tools, and explore ways to use the reflective process effectively and efficiently in the physical education setting to promote social and emotional learning outcomes for students.